Title : Anomalia, 2015, From the series Minimum, Necessary, Objectively Reasonable, Jesmonite and steel, 100 cm x 100 cm x 75 cm. Title : Anomalia, 2015 (detail), From the series Minimum, Necessary, Objectively Reasonable, Jesmonite and steel, 100 cm x 100 cm x 75 cm. Title : Fetor. Greetings, 2014 (detail), From the series Plague, Baryta paper print, wooden frame, 26 cm x 9,5 cm. Title : Fetor. Greetings, 2014, From the series Plague, Baryta paper print, wooden frame, 26 cm x 9,5 cm. 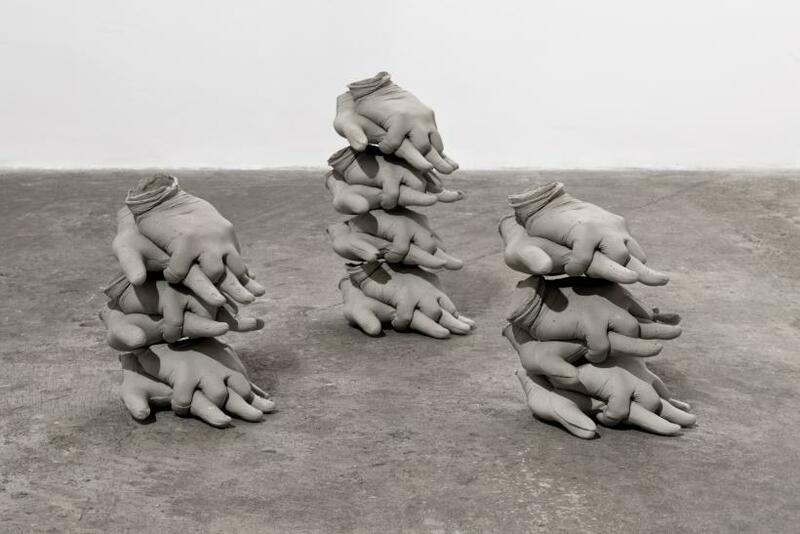 Title : Minimum, Necessary, Objectively Reasonable #1, 2015, Stacks of life-size hands in a CPR position, concrete composite, Dimensions variable. 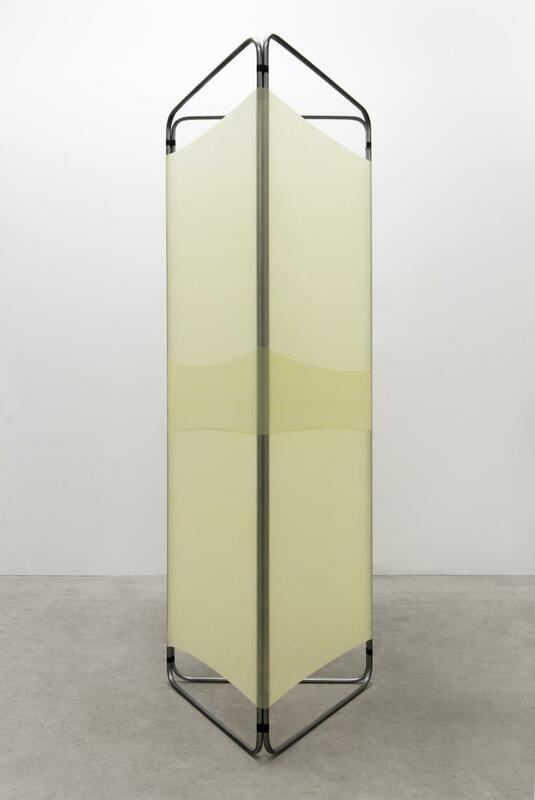 Title : Minimum, Necessary, Objectively Reasonable #5, 2016, Steel, latex and tape, 200 cm x 75 cm x 75 cm. Title : Minimum, Necessary, Objectively Reasonable #5, 2016 (detail), Steel, latex and tape, 200 cm x 75 cm x 75 cm. 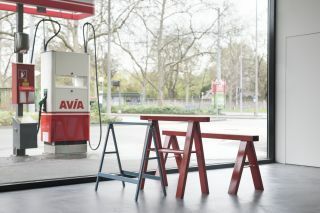 It’s difficult not to flinch when the word ‘satis’ ricochets through the sober silence of Ewa Axelrad’s exhibition at The RYDER, even after you have heard it for the first time. This sonic intrusion continues to hang in the air as much as it cuts through it with a repeating interval. ‘Satis’ is Latin for ‘enough’ or ‘sufficient’, whilst it is also etymologically connected to ‘satisfaction’. The sibilant hiss of this short audio piece permeates the static network of Axelrad’s sculptural installation and echoes the suggestions of force and violation that are embedded within each individual form. 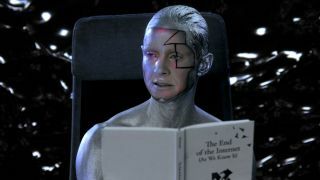 As this disembodied voice persists, it quickly becomes evident that the body as a site of power that both acts and is acted upon, is a recurrent starting point for Axelrad. The ‘body’ is continuously pictured amidst the murky slippage between individual agency and collective action. 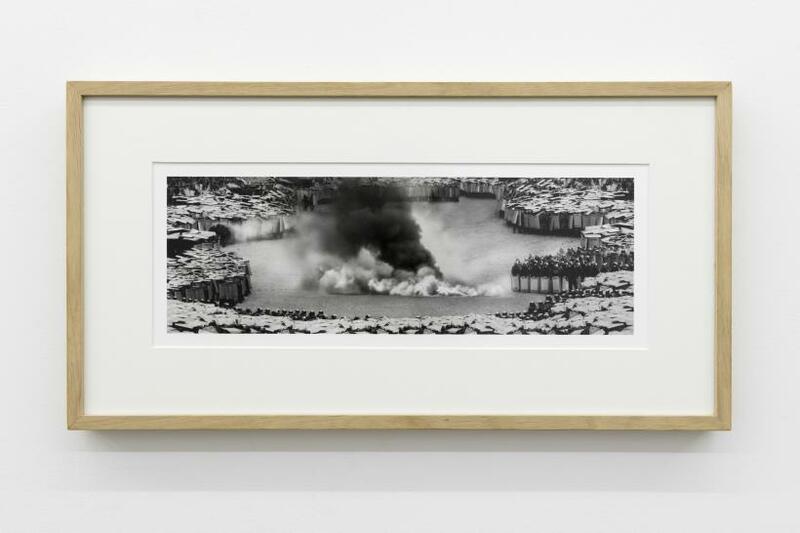 In the small photographic piece, ‘Fetor, Greetings’ (2014), for example, Axelrad creates a Photoshopped rendition of a mass riot, where individual bodies create a combined circle of force, locked together in oblong shells of shields and helmets. This fakery is integral to Axelrad’s reference point: the bizarre (and apparently prolific) world of riot tourism, the aficionados of which travel the world to sites of political unrest in order to capitalise and indulge in scenes of collective violence. De-rooted and de-politicised, these riotous outings demonstrate the close connection between violence, pleasure and the power of submission. When political intent is removed, how much of this action becomes pure performance, pure adrenalin? The performance of power always has its props and in many ways Axelrad’s sculptural works appear as implements charged with abusive intent. 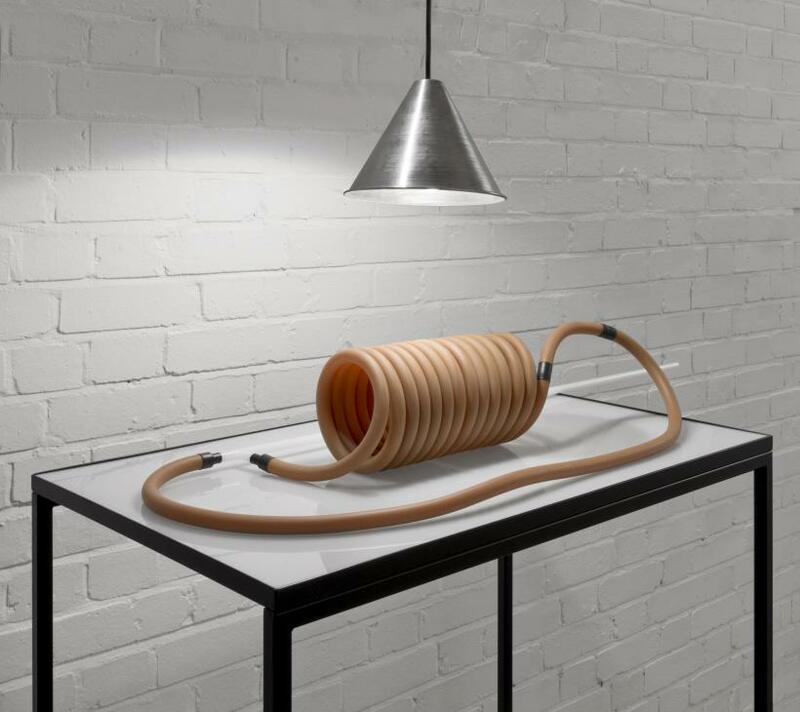 A series of works titled ‘Minimum, Necessary, Objectively reasonable’ (2015-16) appropriates familiar objects and materials: surgical latex tubing, a privacy screen in a hospital and a pile of inert, gloved, hands in the CPR position. 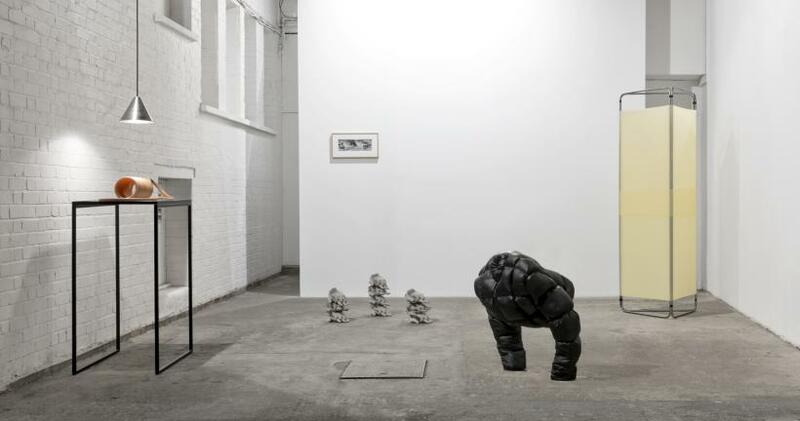 The collective title of these works refers to the nebulous legal terminology used to evaluate a police officer’s use of force; these are clearly a set of adjectives ready for subjective manoeuvres and interpretations. 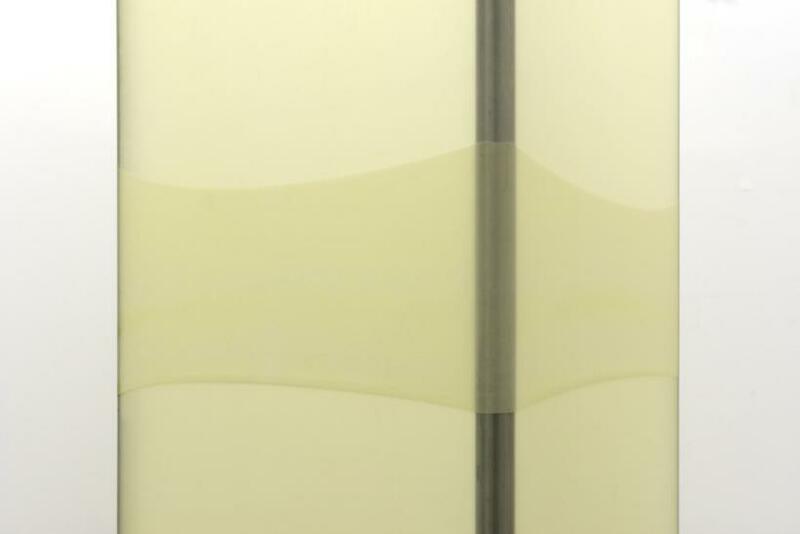 This ambivalence is similarly encoded within Axelrad’s subtle manipulation of each austere form: the latex tubing coils back on itself, the screen is enclosed, preventing entry and trapping what or whoever may be inside, whilst the implied pressure of each stack of hands will surely do more damage than good. Despite their sinister undertones, however, there is something playful and almost surreal in these anthropomorphic forms. 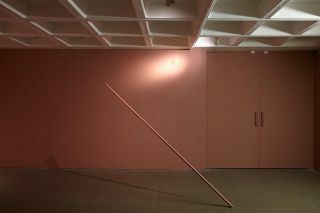 Their tight arrangement together within the exhibition space is both confrontational and claustrophobic. 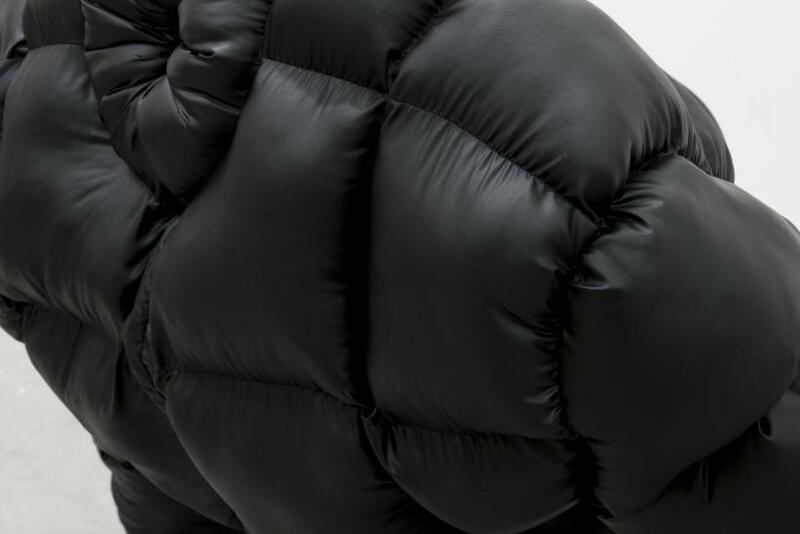 ‘Anomalia’ (2015), also from the aforementioned series, is a bodiless, black puffer jacket that simultaneously affronts as it retreats. 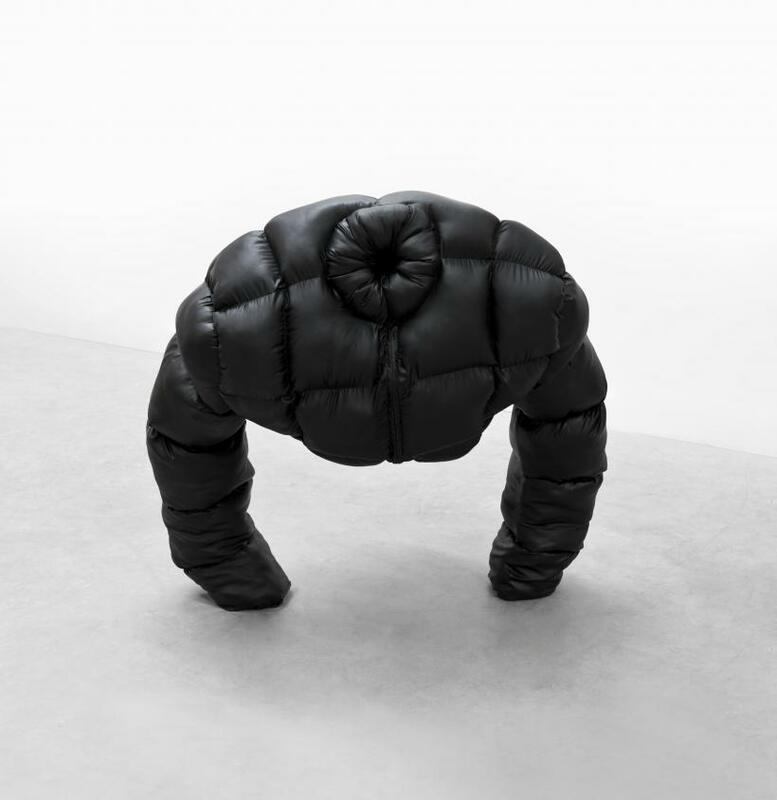 Its arms are propped up on the ground in a gorilla-like stance and yet its precarious, air-filled hover suggests that it could topple over at any moment. Like the forms that surround it, this work treads a fine and uneasy line between aesthetics and ethics; if design follows function, then surely it is the exercise of power and control that constitutes the make-up of these objects. What lingers uncomfortably in the air, however, is the innate potential for satisfaction and pleasure that each of them holds. Joëlle Tuerlinckx: WOR(L)D(K) IN PROGRESS?